Sunday morning and your princess is already waked up…really early in the morning! Oh come on…seriously? I miss the days that I could sleep more and rest my body!!!! And seriously, the kids are always wake up earlier on weekend when they do not have to go to the school! So, I had her next to me, pushing me to get up and make a craft with her… ok… what kind of dreams she had? Without coffee and not maky hours of sleep, the only thing I could think was something really easy! 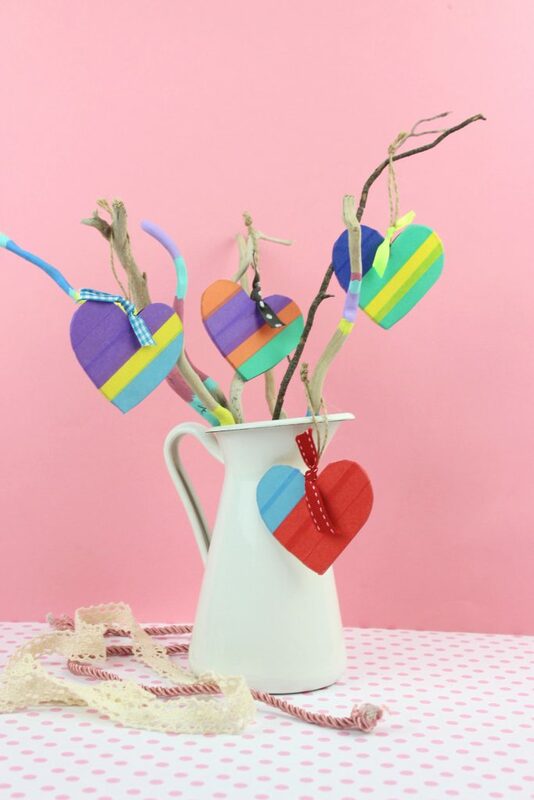 DIY Colored Wooden Decorative Hearts for Valentine’s Day! You never know when the kids will request to make a craft! On the other hand, I am really happy that they prefer to create something and play with materials and colors instead of watching TV or playing video games! That’s why, everytime I am in the mall, I always visit my favorite Flying Tiger store and check what new they have. This time, the colore washi tapes are really cute! 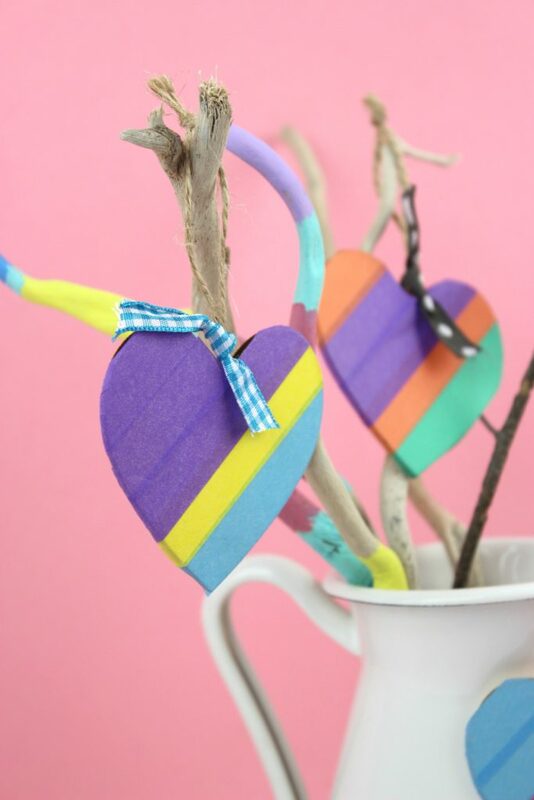 The craft is really easy and it will not take more than 5 min! But it is fun for the kids and without any dangerous materials. So allow them to use their imagination when you will prepare and enjoy your coffee! 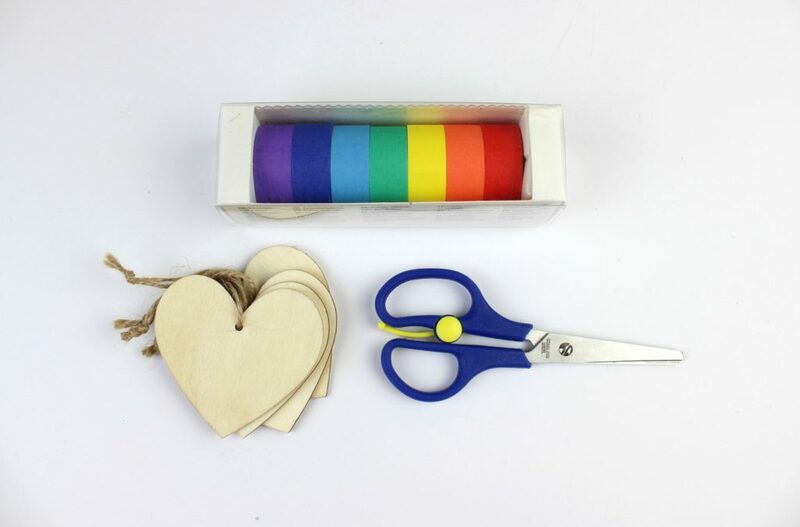 First cut a scrap from the washi tape and apply it on the wooden heart. 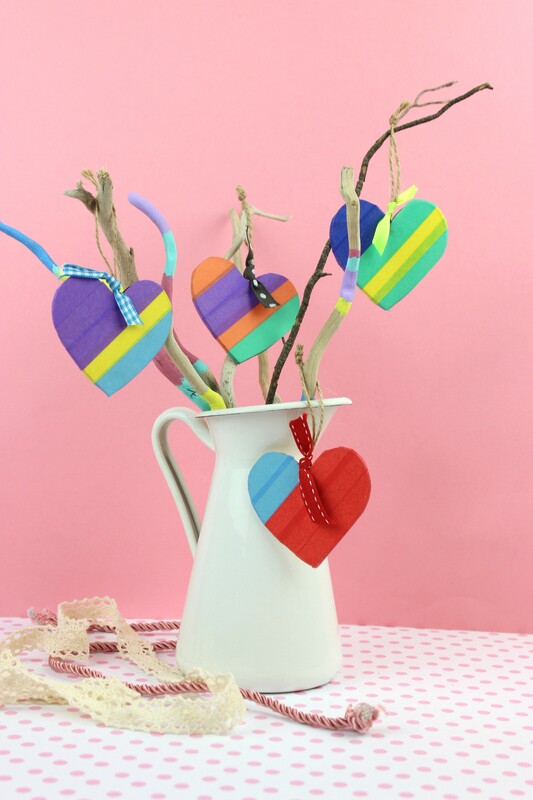 Repeat this with as many colors as you wish, until you have the wooden heart covered and with the pattern you like. Cut the remaining pieces at the edges and you are done! 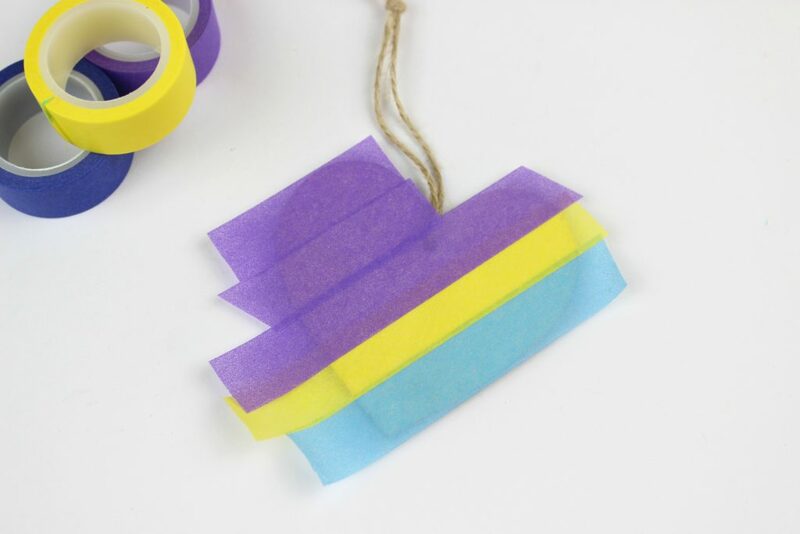 Ribbon for additional color and your ornament is ready! Full of color and so easy to prepare it. 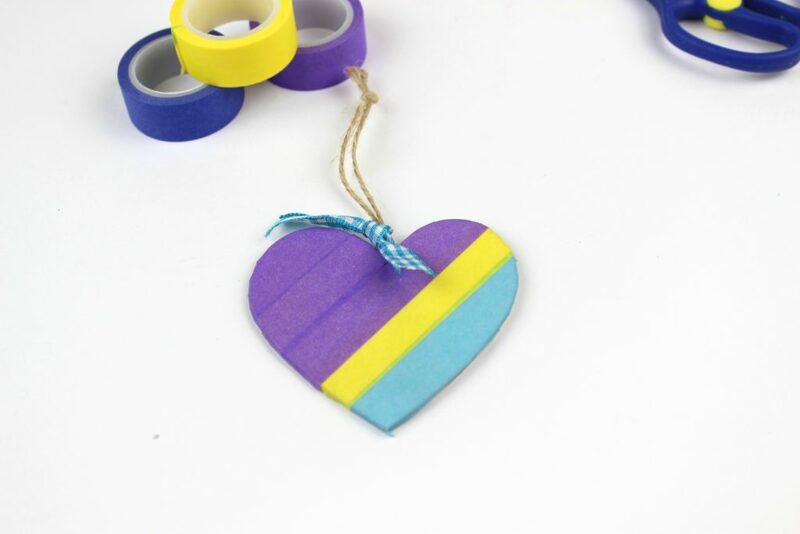 If the washi tapes are not that stable, then with a paint brush apply white glue at the edges of the heart. 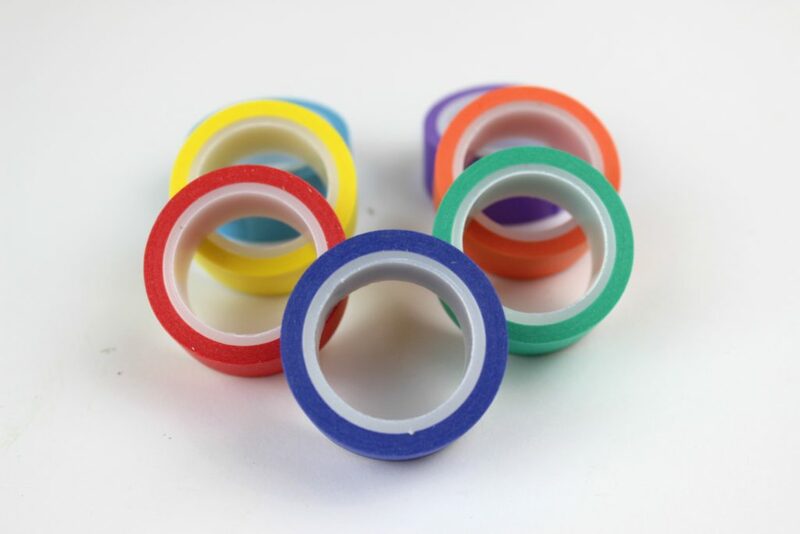 Let it dry and your washi tapes are even more stable! 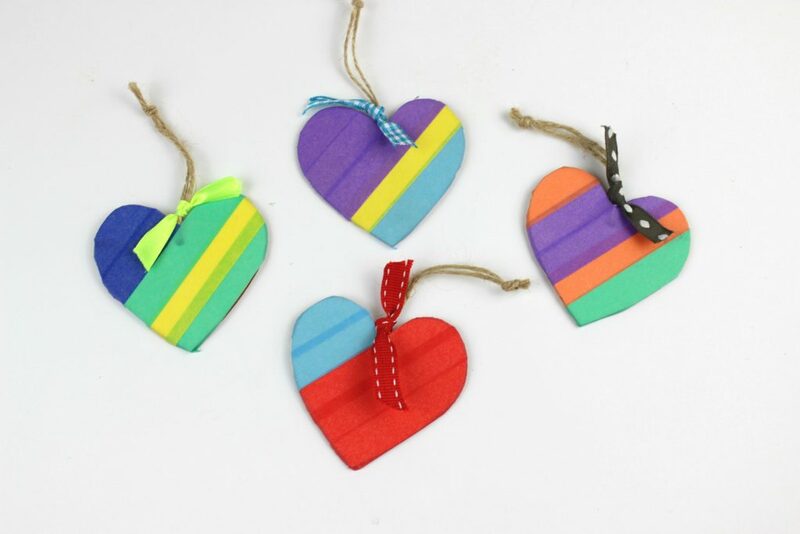 And since we have completed one heart then the kids made a few more with different color combinations and ribbons! And I have plenty of time to prepare a cup of hot aromatic coffee! 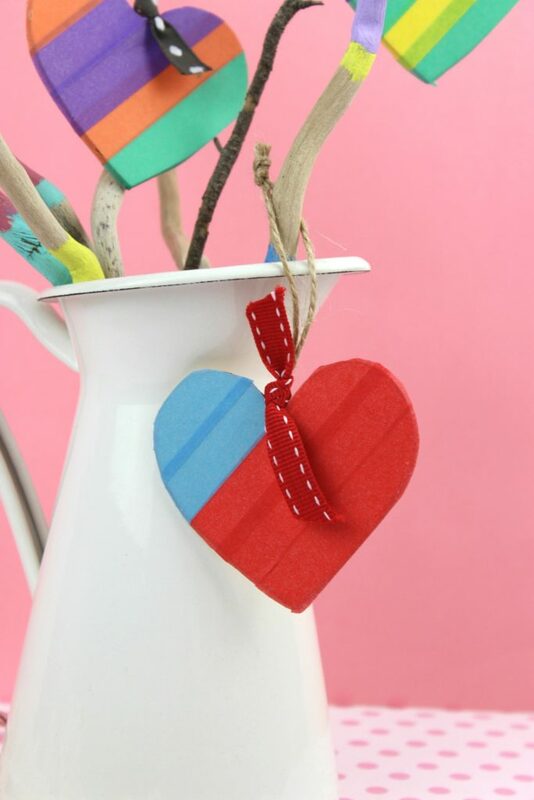 Valentine’s Day is close and this craft was just on time! 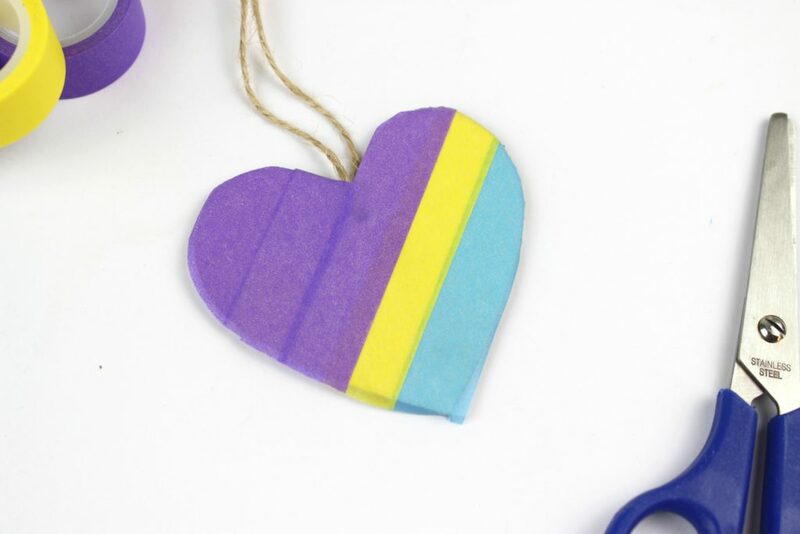 More color for our home and more cute ornaments on our Painted Driftwoods! And the Sunday started in the most amazing way!